I hope you are all having a lovely holiday season! I am on vacation right now with my daughters, visiting my family (it’s been 5 years since I’ve been able to visit!!). We are enjoying playing in the snow, drinking hot chocolate, and playing all sorts of board games and baking at home. I have another useful post scheduled for next week about sealants. 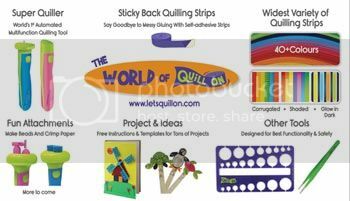 Today I want to share a few great quilling items that you might find useful when doing your holiday shopping this year, or maybe just picking up something for yourself! It’s that time of year when you try to find the right gift for so many people. If you are looking for a little something for a friend or loved one who is a quiller or crafter, or a little something for yourself, check out these fun items! This popular beginner’s kit from Quilled Creations has everything you need to get started! A great gift for someone who hasn’t picked up the hobby yet, but you know will enjoy it. Looking for a smaller kit ? This is a great gift as well, especially for kids so they can get a taste of quilling before investing in further supplies. If you already know the basics of quilling but want to expand your repertoire of skills, this husking kit from Quilled Creations is a great choice! Here is one more kit – this Twirled Paper kit is even great for kids! Bright, colorful, and with fun designs. These are just some of the more popular and fun kits and tools – there are of course MANY more! The links here are to Amazon for your convenience, but you can also find these and many other fabulous quilling supplies at Custom Quilling, and many other online shops. 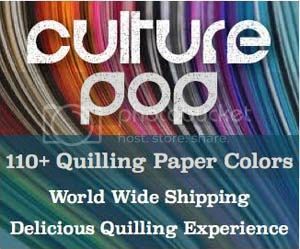 Click here for a list of paper quilling online shops around the world, organized by country. PreviousCan You Use Clear Nail Polish to Waterproof Paper Quilled Jewelry? Where in South India can we Get these? Sure thing, thanks for sharing! Honey, have you used the flutter cutter and do you think it is a valuable piece to have? I have always wanted one of the larger machines and then I realized it would really eliminate the handmade look of quilling so I never purchased one. I have recently heard a bit about the flutter cutter so I’m curious if you have any experience.